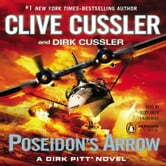 “Dirk Pitt is oceanography’s answer to Indiana Jones,” praises the Associated Press. “Exotic locations, ruthless villains and many narrow escapes—Cussler’s fans come for swashbuckling [and] he delivers.” And now Pitt’s back to find a crucial piece of marine tech that could reshape the United States’ defense program. At the same time, ships have started vanishing mid-ocean, and when a few reappear, bodies are found aboard burned to a crisp.Could these mysterious events be connected to an Italian submarine that itself disappeared in 1943? 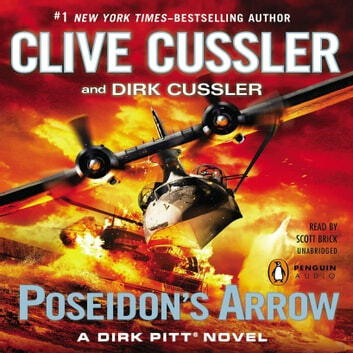 Filled with breathtaking suspense and extraordinary imagination, *Poseidon’s Arrow *is further proof that when it comes to adventure writing, nobody beats Clive Cussler.